Sunny has always had a profound love for sports and enjoying the company of other athletes. Since the start of youth sports until the senior year of high school, sunny competed in track and field along with basketball and other exciting team building events. After high school Sunny struggled with staying active. After years of bouncing back and forth to global gyms and running she was introduced to Crossfit and was instantly hooked. The class atmosphere, the competitiveness, the personal one-on-one coaching, and the family that came along with it created and instant love for the sport. 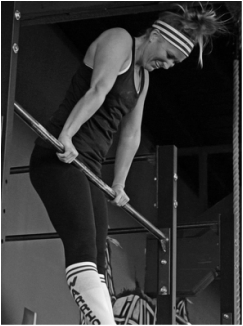 Sunny started her Crossfit journey 5 years ago and has been competing in competitions for the past 3 years. She acquired her L1 certification in 2014 and CrossFit Gymnastic certification. She has been coaching ever since. For her there is nothing better than seeing the gains of the athletes she has coached.